1. Cancellation is accepted before 3 days of arrival. 2. In case of no show or reduction in numbers of guest then the bookings credit card will be charged for the number of beds the guest booked with us. 1. The booking guest is solely responsible for any loss or damage caused by the group members and will be charged fine. 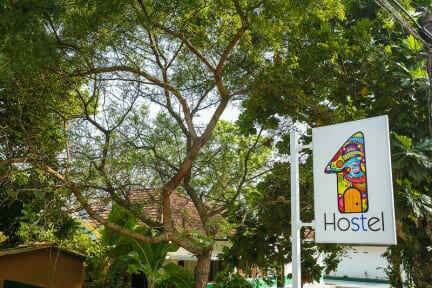 2.Strictly obey the hostel rules and policy. Backpackers and travellers are most welcome. NEW: As of 15/12/2017 we have launched a FREE light & simple breakfast consisting of fresh fruits & toast. Super recommend! I initially booked for two nights and ended up staying 8, the hostel is clean, two minutes away trom the beach and the main road, the atmosphere is calm and friendly, you can meet people but is not a party hostel! Loved it!